Will is a poet ambassador with Free Minds Book Club and Writing Workshop. Sergio is a poet ambassador with Free Minds Book Club and Writing Workshop. Robert is a poet ambassador with Free Minds Book Club and Writing Workshop. PM is a poet ambassador with Free Minds Book Club and Writing Workshop. Phil is a poet ambassador with Free Minds Book Club and Writing Workshop. Pedro is a poet ambassador with Free Minds Book Club and Writing Workshop. 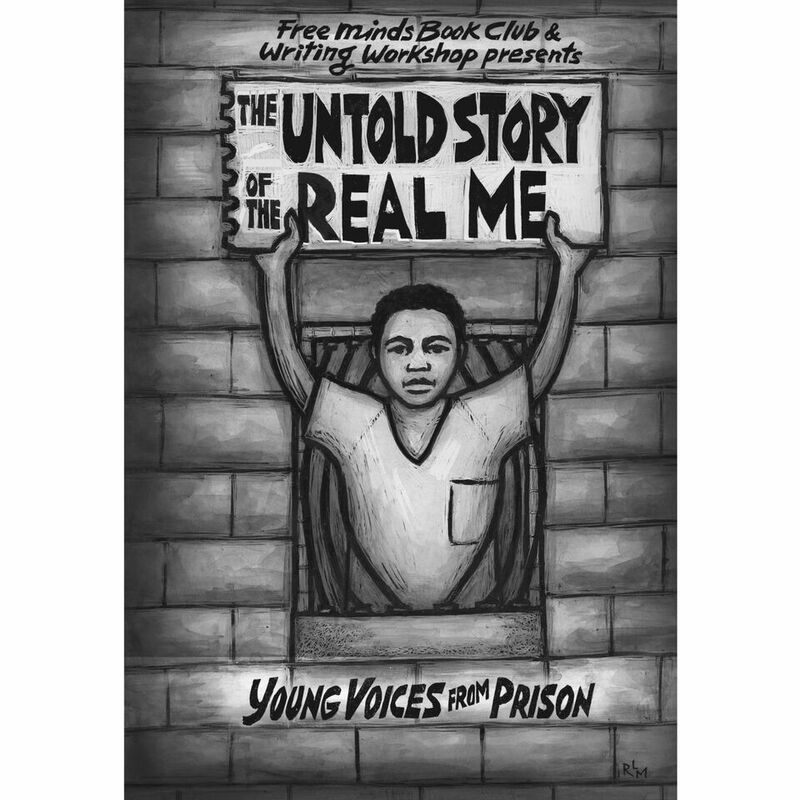 Juan is a poet ambassador with Free Minds Book Club and Writing Workshop. Gary is a poet ambassador with Free Minds Book Club and Writing Workshop. Eddie is a poet ambassador with Free Minds Book Club and Writing Workshop. DeCario is a poet ambassador with Free Minds Book Club and Writing Workshop. David is a poet ambassador with Free Minds Book Club and Writing Workshop. Charlie is a poet ambassador with Free Minds Book Club and Writing Workshop. Calvin is a poet ambassador with Free Minds Book Club and Writing Workshop. Anthony is a poet ambassador with Free Minds Book Club and Writing Workshop. Andre is a poet ambassador with Free Minds Book Club and Writing Workshop. AG, Ahmad, Alonzo, Alvin, Antonio, Antwan, Antwon, Antwone, Arthur, Bennett, Brandon, Christian, CM, Curtis, D'Angelo, Daquan, Darrell, DeAngelo, Deante, Delonte, Demetrius, Deon, Derrick, Devanta, Diquan, Donald, Doug, Dre, Drew, Elijahwon, Gary, Gerald, Hosea, Immanuel, Jerome, John, Jonas, Juwan, KB, Kenny, Kevin, Kevin B, Khyree, LA, Larry, LaTrae, LB, LJ, Luis, MA, Major, Makkah Ali, Malik, Malik W, Marquael, MarQuell, Marquis, MC, Michael, Mike, NC, Nick, Paulo, PM, Rafael, Rakeem, Raymond, Rico, Robert (Rah Rah), Sammie, SD, Shahid, Shakim, Sharod, Shawn, Steven, Talib, Tavon, Terrell, Thomas, Tobias, Tre, Vincent, William (King X), Yester, and Zackary are poets and incarcerated young people from Washington, DC.